Next week is the last week to register for RootsTech 2019 at a discount price—$209 for a 4-day pass or $99 for one day. The Family Discovery Day Pass is free, but you need to register. Prices go up January 25, 2019. 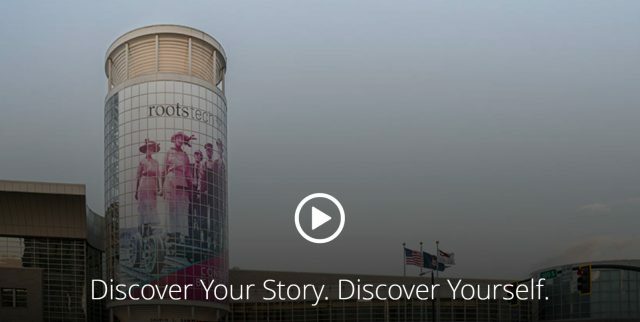 RootsTech believes in the power of family—and discovering your family story has never been easier! RootsTech is a 4-day event held annually in Salt Lake City, Utah, dedicated to celebrating family and discovering family histories. With over 300 breakout sessions, an exciting lineup of celebrity speakers, and a gigantic expo hall, we’ve got something we’re sure you’ll love. RootsTech will also be in London, October 24–26, 2019. Can’t make it to RootsTech? See list of the sessions that will be streamed live for free. Family Discovery Day is a free, 1-day event on Saturday, March 2, 2019, that will inspire you to discover, gather, and connect family relationships—past, present, and future. Enjoy inspirational devotionals from General Authorities, informational breakout sessions, and hands-on activities that are fun for the whole family.